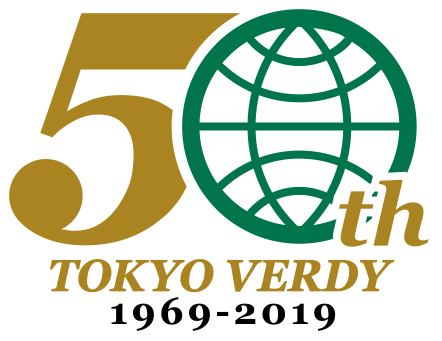 Coined from the Portuguese "VERDE" meaning "green"
・Management and operation of amateur and professional soccer teams and various sports activities. ・Development of soccer and various sports players, and coaches. ・Managing soccer schools and various types of sports schools, and organizing different types of sports classes. Developing a competitive world class club team. Expanding the base of the Japanese football industry to promote the advancement of true merit. To provide correct guidance and build health and sportsmanship for the younger generations. To be the no.1 representative football club in Tokyo, a strong team that impresses and entertains, and is loved by many people. Actively participating in the development of Tokyo city, promoting the health of the young generation, and contributing to environmental conservation. To implement a training system with a long-term vision, thus developing great numbers of world class players and coaches. To aim towards being a comprehensive sports club that contributes not just to soccer but also a lifetime of sporting activity. "Since the club was founded, we have established consistent techinical training for the first team to be at the top. We have made daily efforts to promote and establish soccer culture." Access by train 5 minutes walk from “Tobitakyu (AJINOMOTO STADIUM) Station", Keio Line. 20 minutes walk from “Tama Station", Seibu Tamagawa Line. *On the day of the match, there is a designated semi express train schedule via “Tobitakyu Station", Keio Line.The exact time schedule for the designated semi express will be announced before the day on “Next Game Info". Access by bus 20 minutes by bus from “Musashi-Sakai Station", JR Chuo Line, south gate #3, get off at “Oginohara-Jutaku” and walk for 5 minutes. 25 minutes by bus from “Musashi-Koganei Station", JR Chuo Line, north gate #7, get off at “Oginohara-Jutaku” and walk for 5 minutes. 25 minutes by bus from “Komae Station", Odakyu Line, north gate #1, get off at “Oginohara-Jutaku” then walk for 5 minutes. There is no parking available around the stadium. Please use public transportation. Access by car Designated car parking available at north side of stadium. On the day of the home game, first come first served available, limited to first 100 (fee-charged).